Warrior Kings Battles is set in a far away and distant medieval world that has different factions of the Kingdom of Orbis vying for power and control over their world. Set 100 years after the tragic death of King Artos, you must now fight your way through demons and knights in order to rid the continent of Orbis from chaos and restore order. Now is the time to choose your side and use whatever means possible in order to restore order to this devastated land with diplomacy and warfare as your two main tools. Players can choose between three different factions that include the noble and righteous Imperial Knights, the deadly and savage Pagan Demons and the highly intelligent Renaissance Scientists that all have different abilities, weaknesses and strengths. Unlike other real-time strategy games (RTS), Warrior Kings Battle is not about brute force and huge battles but on the contrary, it's all about thinking, tactics and realistic warfare. 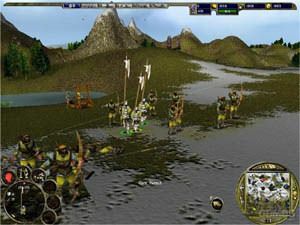 The developers have done an extraordinary job at making this one of the most realistic RTS games around, for instance, if you have archers on a higher level than your enemy, the archers will clearly be the victor as they have a full view of the battlefield or if you send the wrong type of units into battle, they will be butchered by enemy troops. 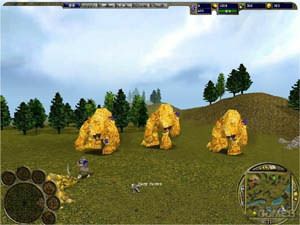 The game contains a variety of different units that include rocket launchers, spies, war elephants, arch druids, elementals, golems and dozens of other units that helps make this game just that tad better than other RTS fantasy games. You basically start the game with one province of Orbis and you must slowly fight your way through to other provinces until you eventually rule the land. The game also contains a variety of different tech levels for each of the races that allow you to create different buildings and units. For instance, the Pagan Demons wield ancient and evil magic in order to defeat their foes and also have an almost unlimited amount of troops, whereas the Renaissance Scientists who are limited in numbers use technology in order to defeat their foes such as gunpowder to make explosives. Each level starts with the basics but as you progress through the game, you receive higher tech levels and a higher number of units to create and use to your advantage. The battles in this game is what sets Warrior Kings Battles apart from other RTS fantasy games on the market at the moment for they are huge and resemble something out of Braveheart and the Lord of the Rings. Truly awe-inspiring! Thereis literally hundreds of things happening on screen at once and although this is agood thing, it can sometimes become a little frustrating as it is difficult tocontrol your almost thousands (well tens) of troops. The problem with these huge battles is thatevery now and then, a unit or two will just stand there while they getslaughtered by enemy units and the only way to prevent this is to move them orlet them die. It's a small price to pay considering that so much is going on atonce and will be hardly noticeable to the casual gamer. TheAI in the game is a little up and down but generally it is fairly consistent.The developers also boast a new advanced AI engine that has the enemy searching your defences for weaknesses or an even more amazing feature is that your enemies may try to seek alliances that may be beneficial or fatal to your cause. 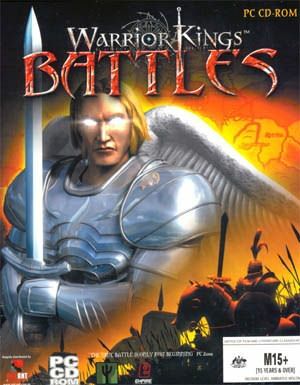 Althoughthe main method of gameplay is the single player campaign mode, Warrior KingsBattles also features a very awesome multiplayer mode that lets you play against8 different human opponents for some of the best fun since Red Alert 2. There isalso a skirmish mode that includes a variety of different missions such ascapture flag or protect the king. Graphically,Warrior Kings Battles is an amazing game that uses its own personalised 3Dengines that allows for some remarkable terrains and landscapes. The units areall polygon based that allow for some extremely realistic movements and put in somegreat looking texture details on the units and you have a match made in heaven.Another aspect of the 3D engine is that you can zoom right into the centre ofaction or zoom right to see a birds eye view of the battlefield. The developershave also done a good job at recreating this land of Orbis with having variousbackground creatures in the game such as birds and fish that help portray thismystical fantasy world. WarriorKings Battles has a great soundtrack that sounds straight out of a Hollywoodblockbuster action movie that helps set the atmosphere of the game. The voiceacting in the game is extremely professionally done and doesn't sound too forcedor contrived. There are various sounds happening all over the game, from thebattles to the cities and it all comes together perfectly with the 3D engine.Each unit also has their own unique sounds and voices that help make themdistinct from other units. The most impressive feature of the game is the soundsof battle such as medieval swords clashing amongst armour and shields, thesounds of soldiers getting injured or the demonic grunts of the PaganDemons. Inconclusion, Warrior Kings Battles is a great real-time strategy game that is setin a medieval fantasy world of swords and magic. The AI in the game could ofbeen better but it's pretty hard to simulate a real human mind. With over 22missions, 70 different types of units and endless skirmish and multiplayermodes, Warrior Kings Battles has quite a long shelf life. Match that withamazing 3D graphics, a Hollywood sounding orchestrated soundtrack and some greatgameplay and you have a very addictive game. Highly Recommended!